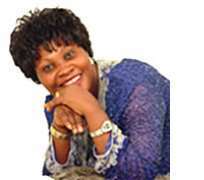 Folake Umosen, no doubt, is a God-fearing woman. She is a graduate of Chemistry in Lagos State University (LASU). An indigene of Ondo State but Lagos born and bred, she was nee Oladiji before being married to Sylvester Umosen of Akwa-Ibom State. Blessed with the talent of singing and apart from this, she has the call of God upon her life to minister to God and his people. “The King's Praise is from Psalm 47: 6. Read it very well, there is a commandment for everyone to praise the king of the whole earth who is God. God is interested in everybody giving him praise irrespective of religion. Psalm 67: 3 says: 'Let the people praise thee, O God; let all the people praise thee, then the earth will yield the increase.' God is not saying only the Christians, He is talking about all the people he himself created. He said if we fail to praise him, he will raise up stones to praise him. If you check on other scriptures like Psalm 148, He talks about other things praising him. Therefore, the King's Praise is about the King of kings and the Lord of lords. Our desire is taking the praise of Jesus to the uttermost part of the earth and as we do I believe God will manifest his glory in the midst of the people to save, heal and deliver. It is mandatory that every gospel singer knows whether he is called to sing. You see, God has a place for everybody. You would not say you want to sing because everybody else is singing. The music ministry is a calling, once you are sure, then you go ahead and do what God has called you to do. “The music industry is growing everyday, but as a musician singing for God, you must have a mindset that you would make it to the top. You must work hard and work with God because He is the only one that can take you to the top. You cannot do it all on your own because you do not know the way to the top. Jesus said in the Book of John that “without me ye can do nothing,” but your absolute trust in the Lord Almighty. “I was actually working on the album, King's Praise 1; going to the studio and all that, I had a terrible accident. The intention of the devil was to stop me, but, God turned it around for my good. I did not mind and I did not stop lifting his name either. The accident was terrible, the car was completely wrecked but God kept my life. I did not complain, instead I gave God praise and in the course of worshiping God, he dropped KOSOBA BIRE, and that was it. I told my producer I would like to add the song. Kosoba bire song came as a result of my life experience. Yours may be different from mine, but God is too faithful to fail”, she concluded.